The tree is native to China and is known to have been widely cultivated early in human history. It is used as a food source by various Asian cultures, with the Chinese eating the meaty gametophytes and the Japanese the whole seed. Unfortunately, the seed contains a chemical, 4′-O-methylpyridoxine, that can be poisonous if consumed in enough quantity. Gingko biloba has been used for centuries as a medicinal herb, part of Traditional Chinese Medicine, and one of its most popular claims was for its use was to enhance cognitive functions. Part of the justification for this claim was always kind of weak–G. biloba has a mild blood thinning effect. Also the leaves contain glycosides and and terpenoids that may exhibit reversible, non-selective monoamine oxidase inhibition, which could have an effect on neurotransmitters. It was then claimed that the herbal drug would enhance blood flow to the brain and the other chemicals would improve brain and nerve function. Sometime in the last 10-15 years or so, Gingko biloba became a popular supplement and a few studies showed promise for a few “indications” for the brain.. In 2000, a very small (20 patient) study showed some improvement in attention in healthy volunteers who received Ginkgo supplements. A meta-analysis of clinical trials seems to have have shown that Ginkgo might be moderately effective in improving cognition in dementia patients. A small pilot study seems to show that Ginkgo exerted modest beneficial effects on select functional measures (eg, fatigue) among some individuals with multiple sclerosis. Of course, these are small studies, and I’ve just picked out the positive studies from the body of evidence on Ginkgo. Of course, a quick search on google will provide you with dozens of hits of supplement hawkers who are more than willing to sell you gingko supplements claiming to help you fix all that ails your brain. So, is this more than just a myth? Does is that enough evidence to support buying it? It seems like there’s even a tiny glimmer of evidence supporting Ginkgo’s effects on reducing or even reversing cognitive declines in dementia. It even might help with multiple sclerosis. Except, no, there isn’t. One of the themes that you might notice from reading this blog is that you can prove almost anything if you cherry pick data or quote mine information. As I’ve discussed before, it’s important to find secondary sources that roll up the broad body of research to answer a question, not just one or two pieces of primary data that makes your case. And what I did above was quickly search out articles that supported the myths about Gingko biloba. But what does the high quality research tell us? 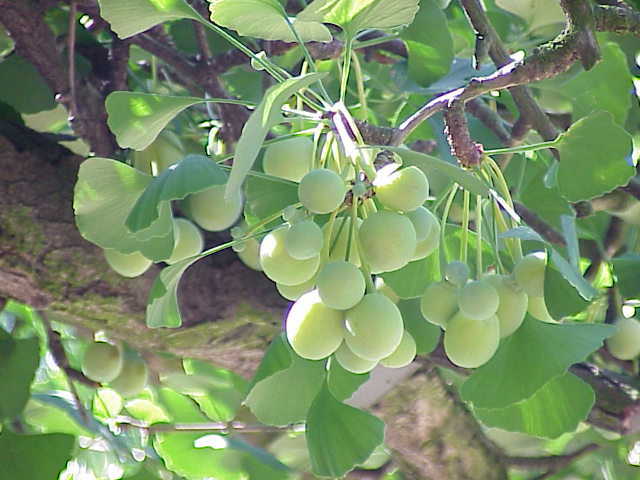 As I’ve said before, the Cochrane Reviews is the best place for secondary reviews of clinical research, and in a 2007 meta-review, the authors state that there is no convincing evidence that Ginkgo biloba is efficacious for dementia and cognitive impairment. That’s pretty definitive, especially for Cochrane who can be frustratingly obtuse in their conclusions. A 2008 randomized clinical trial, which included 3069 older adults with normal cognitive function or mild deficits, G biloba showed no benefit for reducing all-cause dementia or dementia of the Alzheimer type. A 2012 long-term randomized clinical trial of standardized ginkgo biloba extract did not reduce the risk of progression to Alzheimer’s disease compared with placebo. Finally, a large randomized study with 120 patients, larger than the one mentioned in the section above, concluded that G. biloba did not improve cognitive performance in persons with multiple sclerosis.